Hi guys! 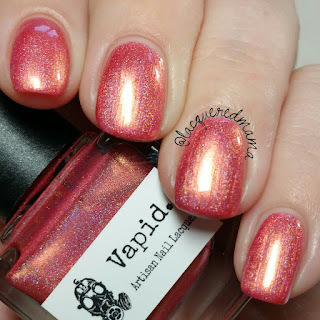 Today I have some new pretties from Vapid Lacquer to share with you! Well....new to me anyway. 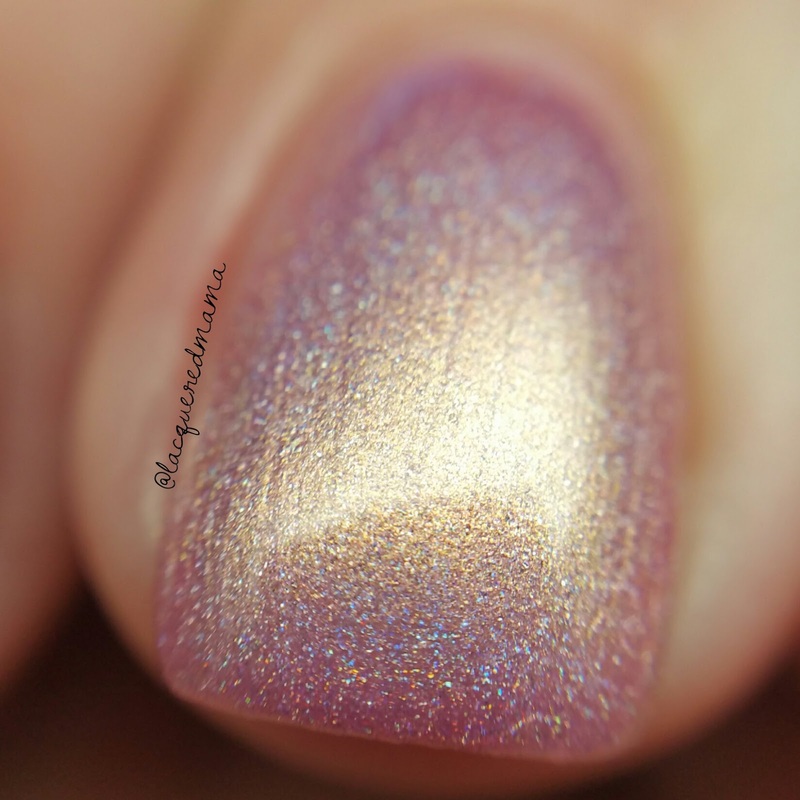 The California Holo Jellies were apparently released last year and I totally missed them. Luckily enough for everyone who is like me, Krys is re-releasing them and with two new additions to the collection! Yay! 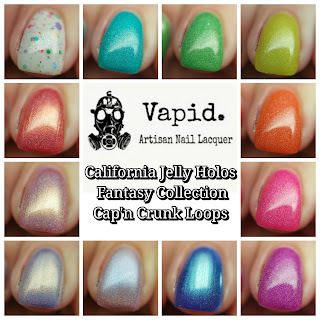 She is also releasing a couple new core colors, a remix of a previous polish and a fun limited edition polish! So many pretties...let's jump in! 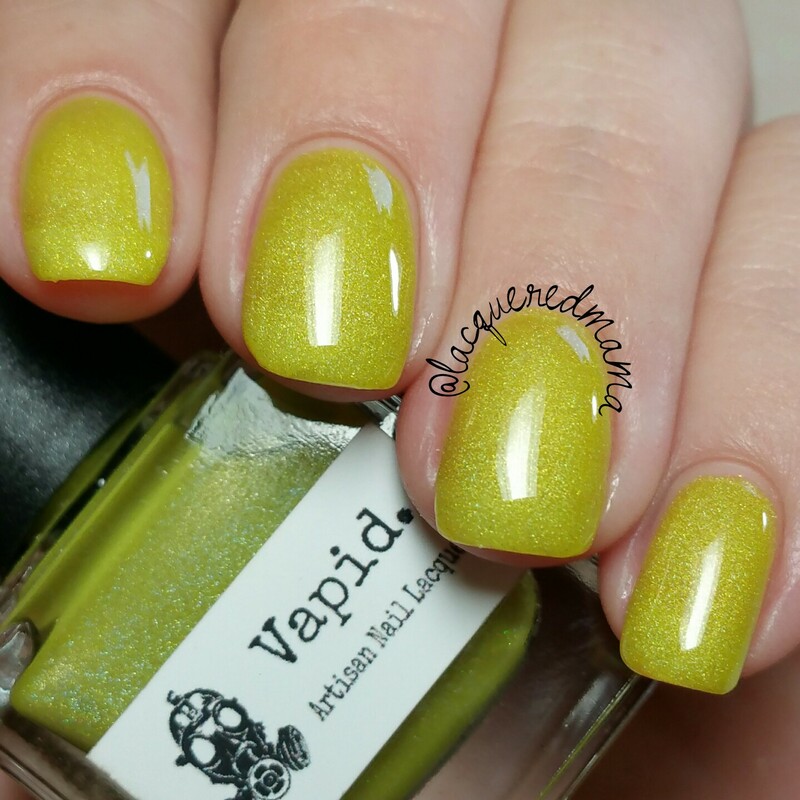 Doheney is a yellow jelly holo! This is one of the new ones to the collection! I really like that she added a yellow! I use to despise yellow, but am slowly coming around to liking them. This one had a great formula too! Here I did three thin coats, but I almost was able to stop at two. For a yellow two coats is great, but for a yellow jelly, two coats is awesome in my opinion. Pismo is a gorgeous orange jelly holo. Orange is another color that I have really gravitated to this year. 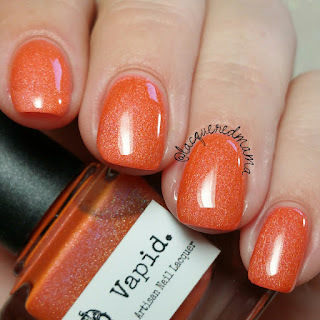 I have Vapid's Punkin Tumble to thank for that! This had a great formula too! Here I did two coats, though depending on your application you may need three. 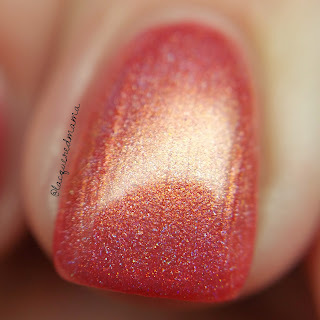 Pacific Coast Highway (PCH) is a bright pink jelly holo. So Pretty! This baby is a perfect two coater! 1000 Steps is a warm toned purple jelly holo. I now know why this was so sought after over the last year! Its gorgeous! On my pinky and ring nail I did just one coat! Two on the others, just to show there was little to no difference in the coverage! 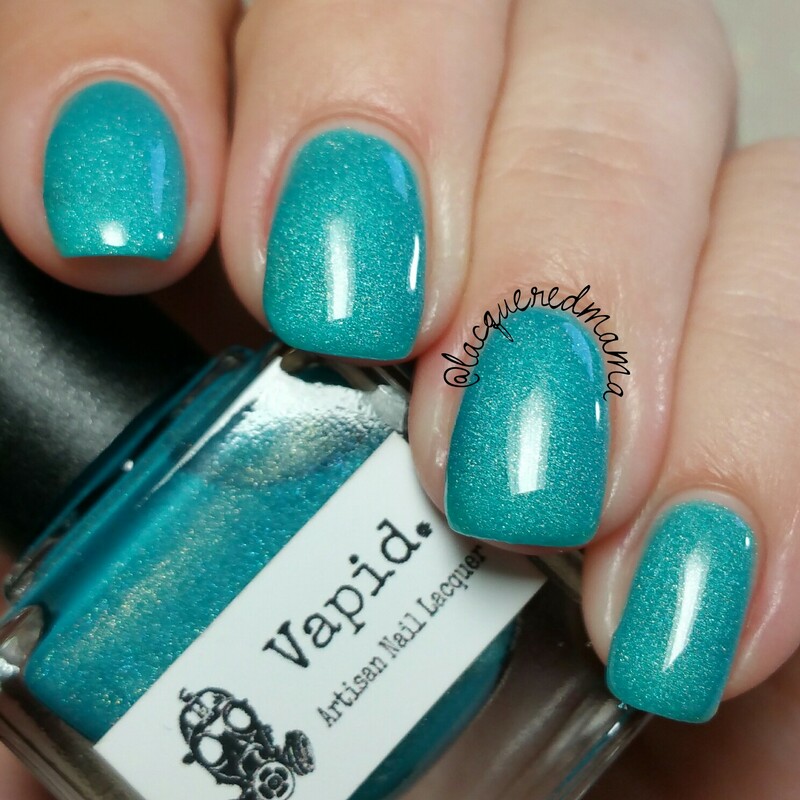 Salt Creek is a beautiful turquoise jelly holo. Another of my favs that will be worn as a pedi a lot this summer! Here I did two coats, though depending on your application you may need a third. 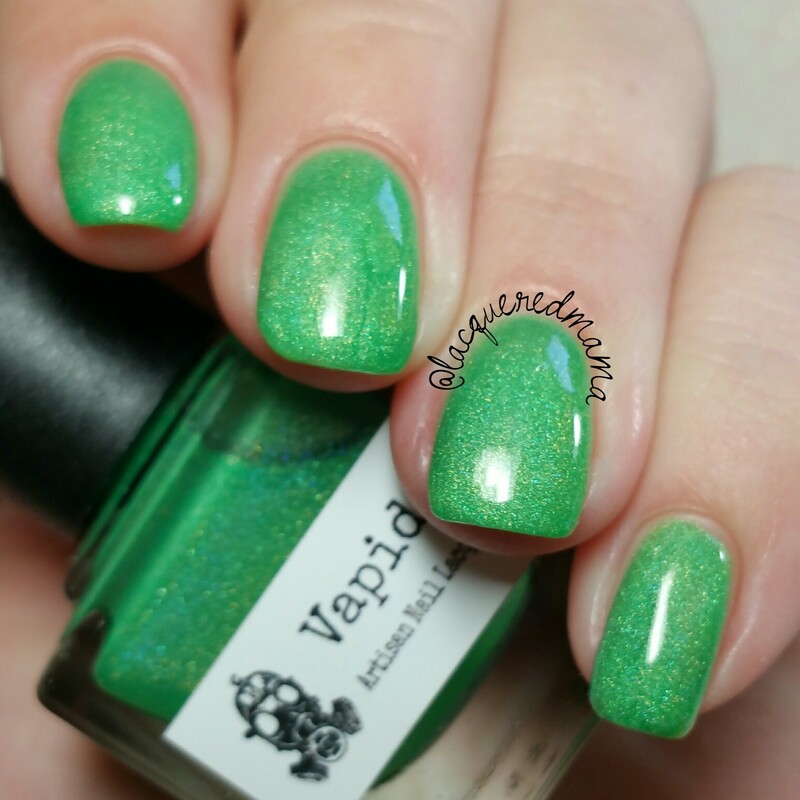 T-Street is a green jelly holo and is the other new addition to the collection! I'm in love! It's nice and bright without have a lime tone, which I really like! 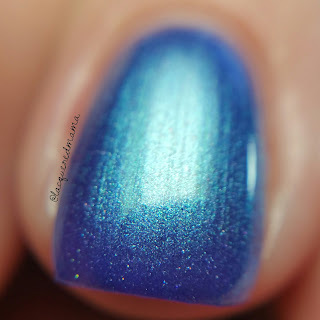 This is two coats! Cap'n Crunk Loops is a white crelly base filled with iridescent rainbow sparks, holo and an actual rainbow of hex glitters in various sizes! I LOVE it! 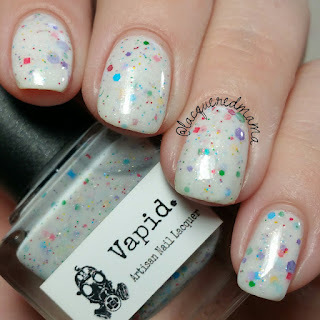 Totally reminiscent of Fruit Loops floating around in a bowl of milk! Mmmm! For my photos I did two coats plus two coats of topcoat. Depending on your application you may need a third coat to really get it opaque. This is also a perfect candidate to layer a coat over a white base! Due to the glitters, this will take a teeny bit extra oomph to remove. The Fantasy Duo has new friends and is now becoming a whole collection in itself! Happily Ever After and Once Upon A Time can finally say they found their family! Once Upon A Time is a gorgeous pink with golden shimmer and holo! 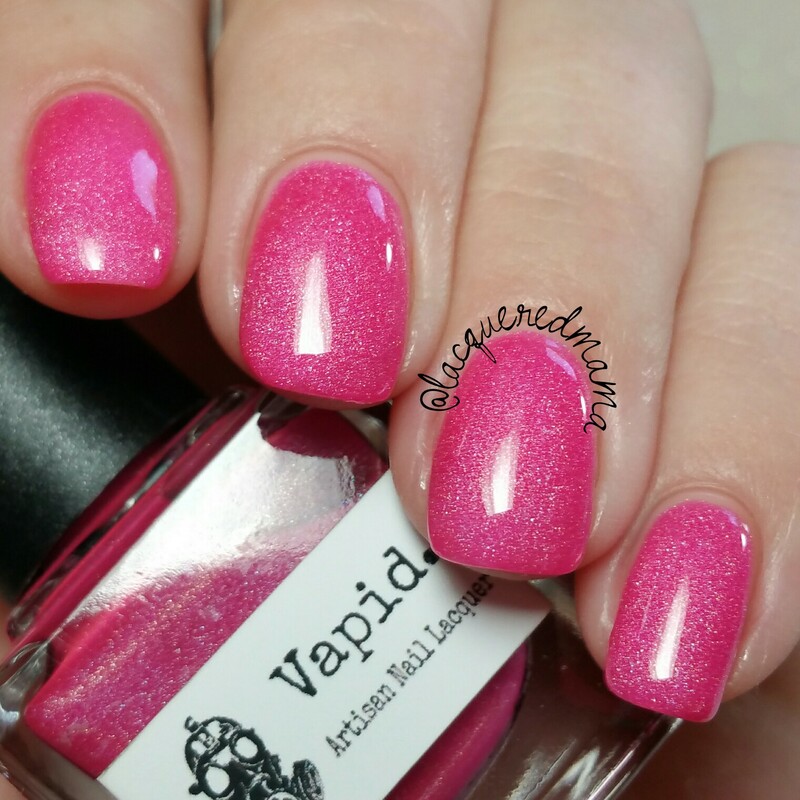 Fantastic formula that was two coats plus topcoat! 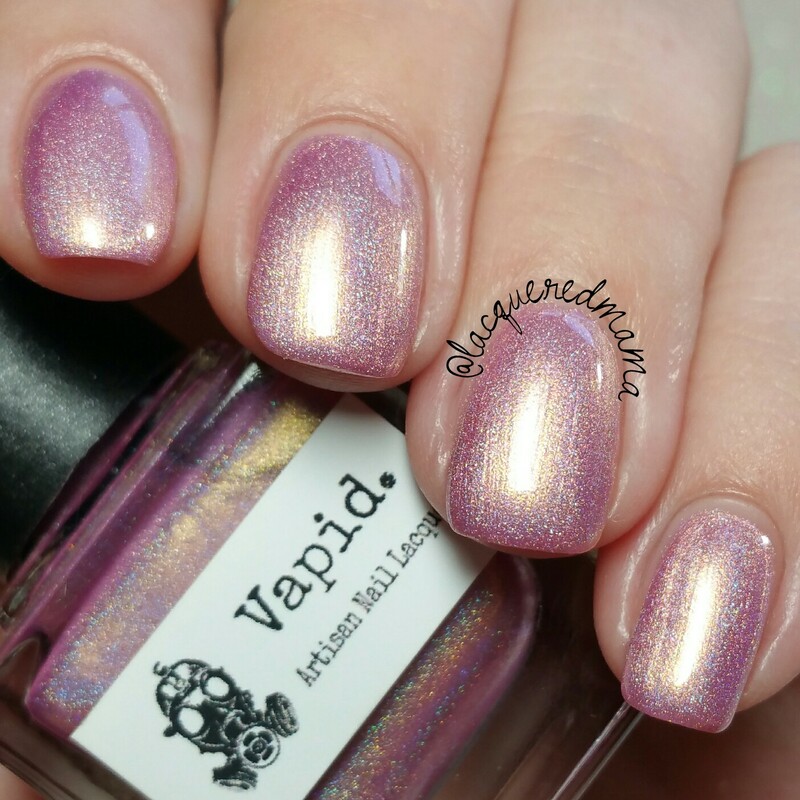 Happily Ever After is a dainty looking pink with holo and a blue shimmer. The shimmer is beautiful and in some lights gives the polish a lavender feeling. Here I did two coats plus topcoat! Dragons Tears is brand new to the collection and is glorious! It is a deep coral with gold shimmer and holo. 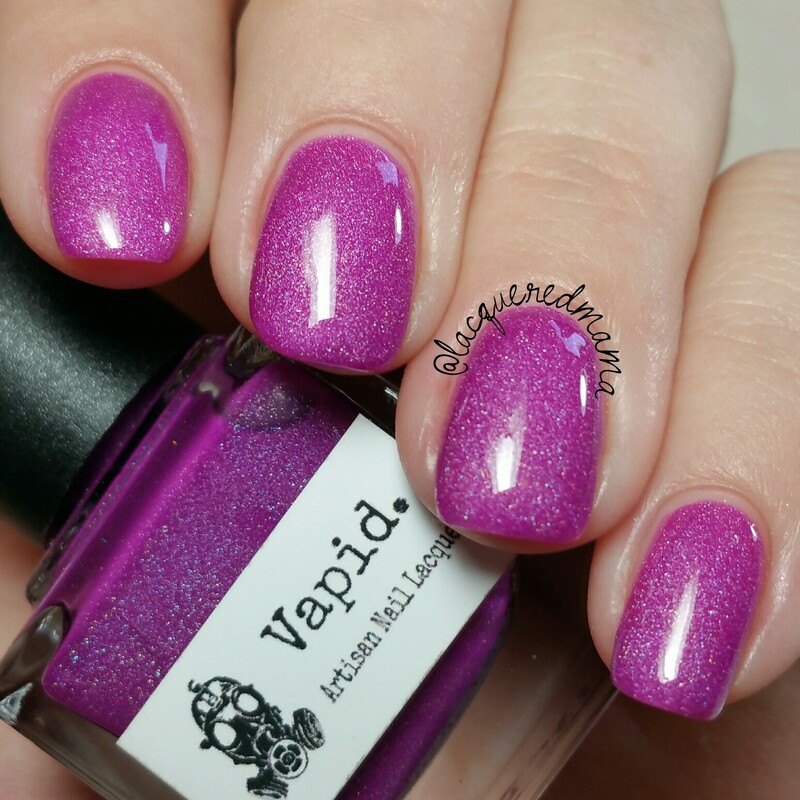 Not only is the color amazing, but so is the formula! 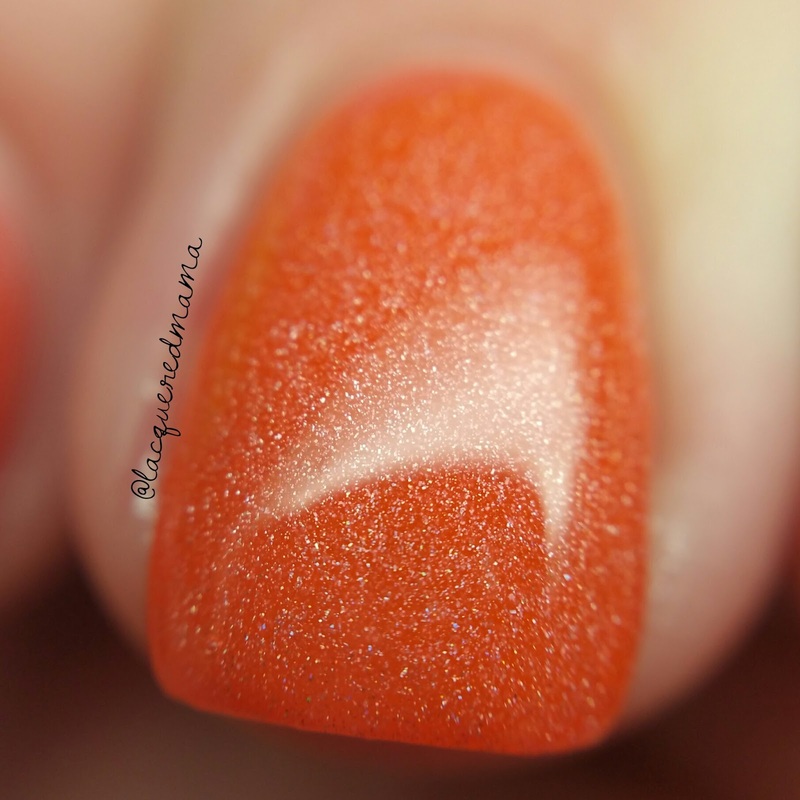 This one is another that can be opaque in one or two coats depending on your personal application. Here I did one on my pinky and ring and two on my index and middle! Unicorn Blood is also new and is so pretty! 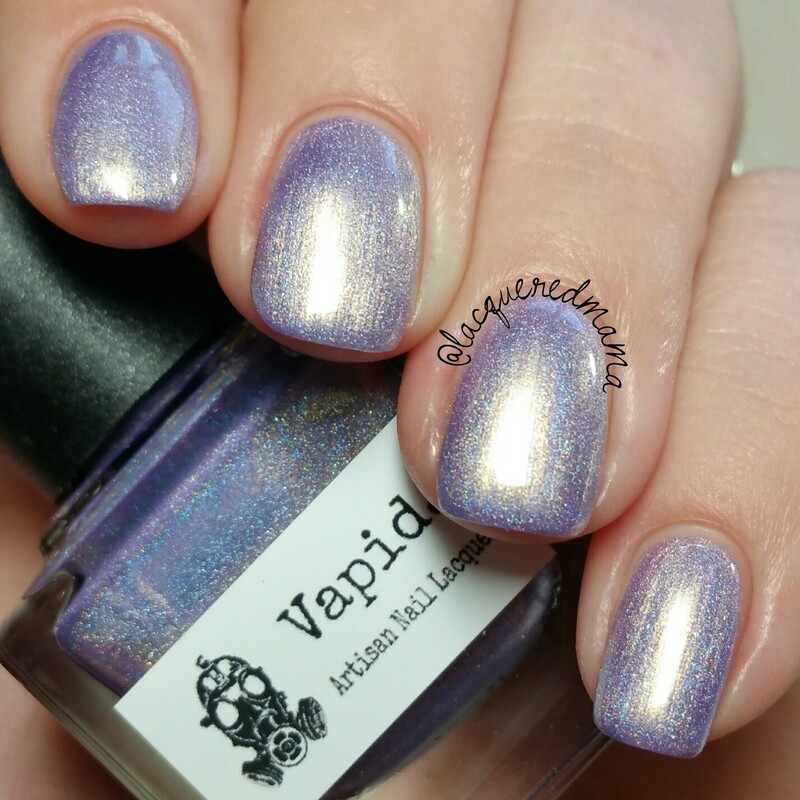 It's a light violet purple base with holo and golden shimmer! 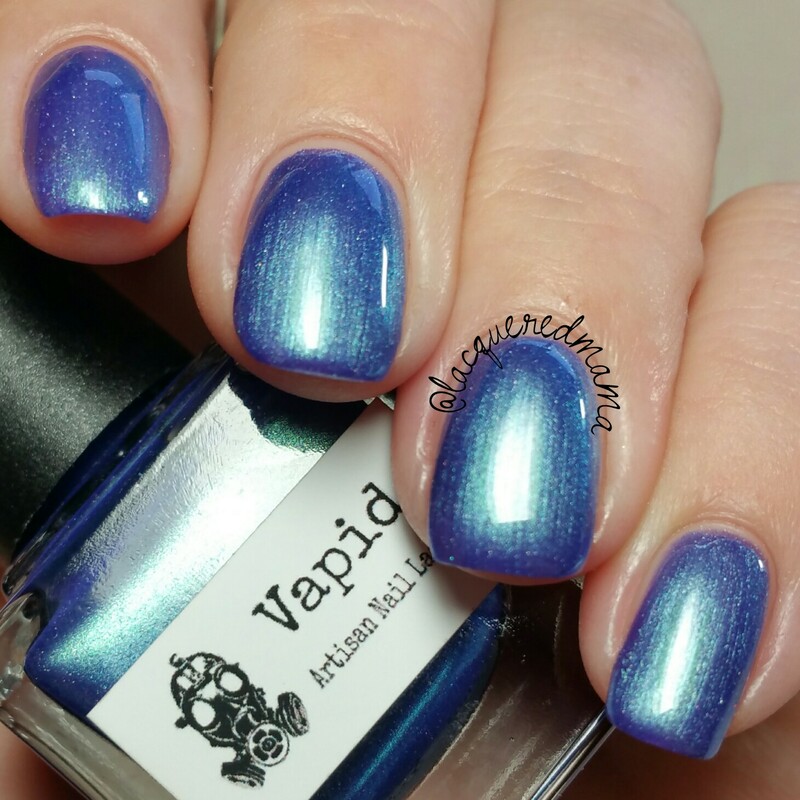 My photos are two coats plus topcoat! Happy Nessie is a remix of a previously released color. It is a true blurple, though appears a tad more blue in my photos. 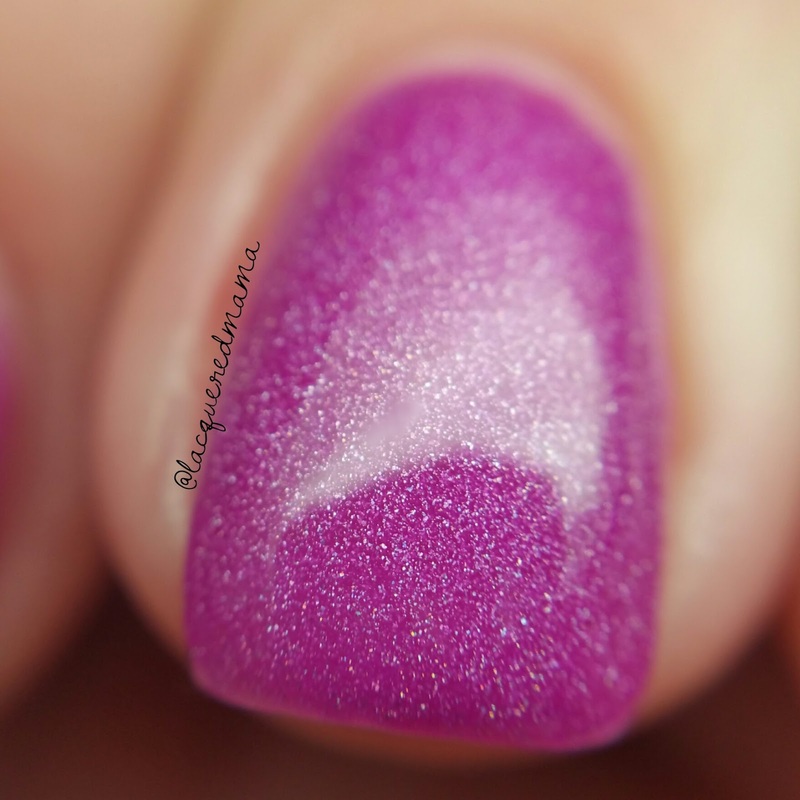 You can best see the purple in photo on the curve of my index nail. 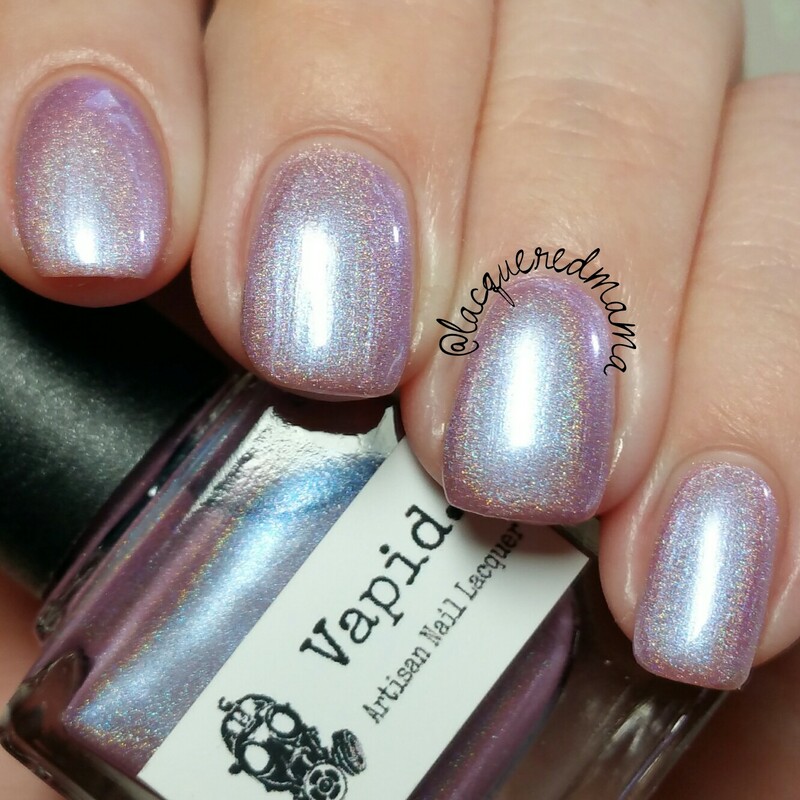 It is filled with scattered holo and a gorgeous aqua/green shimmer. Here I did two coats plus topcoat! 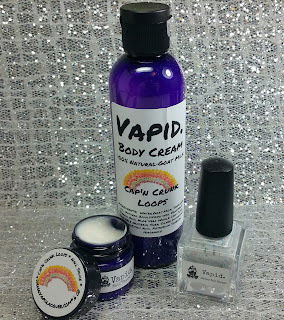 you have to try blotting a light coat of the fantasy colors. It makes them so megasparkly! Oh wow, these are absolutely stunning. I need that turquoise jelly! Wow these are amazing! Salt Creek is what my dreams are made of. I had the other duo but had to pick up the new ones!